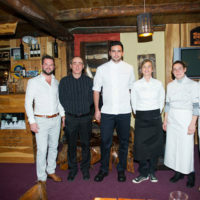 The Chefs au Sommet d’Aurons welcomed Lucie Pichon, chef of La Cigale Vista Beach in Roquebrune Cap Martin and pastry chef Yohan Gouverneur, Pâtisserie Emotions in Castagniers, for a gourmet dinner at L’Alisier in Auron. 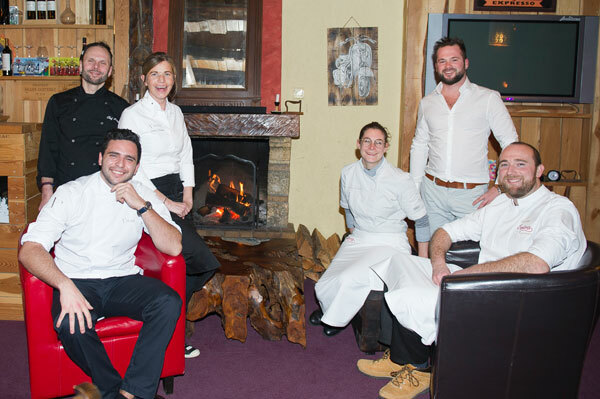 From January 19 to 25, 2019, the Chefs au Sommet d’Auron – 8th Edition – offered memorable gastronomic experiences to tourists and locals. 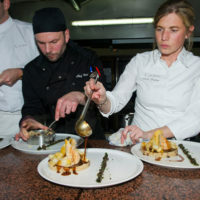 In addition to the chefs’ show-cookings at the ice rink, the renowned chefs officiate each evening in the restaurants of the Haute Tinée resort and offer sumptuous gastronomic dinners at a unique and privileged price of € 45 per person. 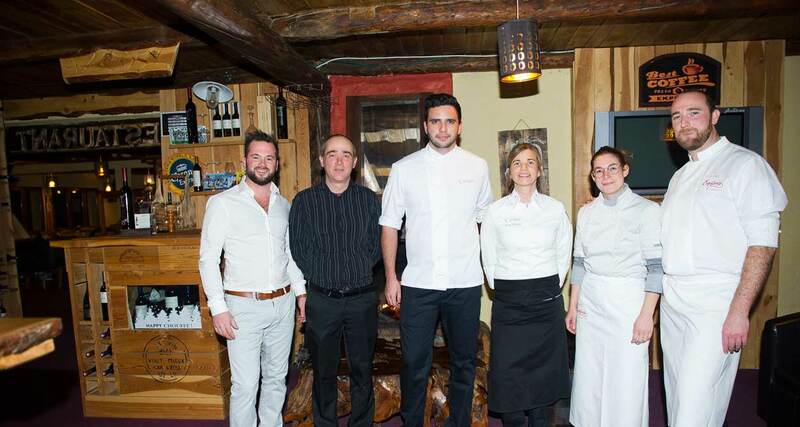 The Cheffe Lucie Pichon from La Cigale Vista Beach in Roquebrune Cap Martin and pastry chef Yohan Gouverneur, from Pâtisserie Emotions in Castagniers, delighted the gourmets’ taste buds at L’Alisier restaurant in Auron. 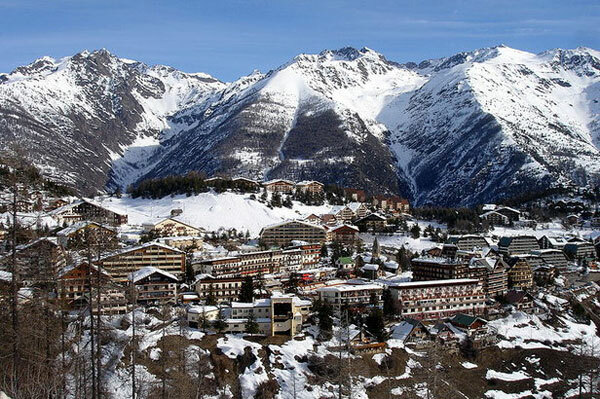 For eight years, the Festival of Mountain Gastronomy has been bringing together many talented chefs and pastry chefs from the French Riviera who share an authentic moment of culinary pleasure and conviviality in the heart of the sumptuous Mercantour mountains. During the Festival, big names in the culinary world perform every night of real gastronomic feats by performing dinners on “pianos” unknown before. 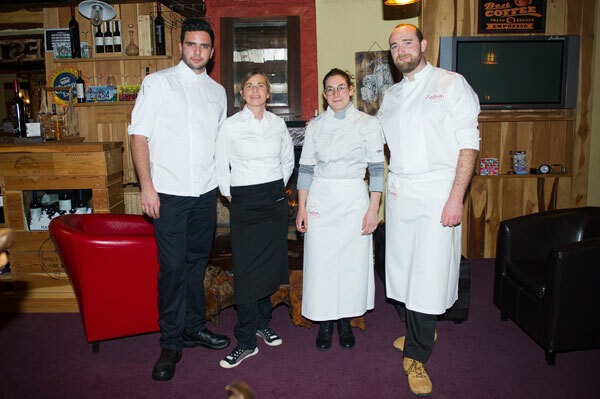 On January 23, 2019,the cheffe Lucie Pichon and pastry chef Yohan Gouverneur transposed the delicious culinary experiences of La Cigale Vista Beach and Pâtisserie Emotions into the wooded, warm and mountain setting of L’Alisier restaurant at the foot of the tracks. 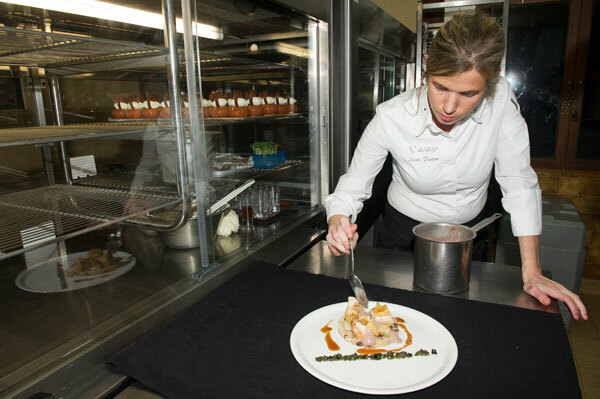 Originating from Saint Malo, Lucie Pichon has perfected her culinary skills in prestigious houses such as Le Chabichou in Courchevel and Le Saint-James, Relais & Châteaux in Bouliac in Gironde. 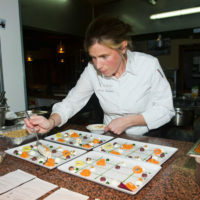 After culinary trips to Corsica and Ireland, she became second to chef Charles Séméria at the gastronomic restaurant Le Vistaero before succeeding him in 2012. 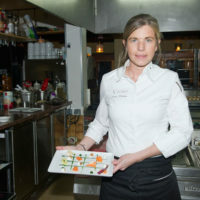 Lucie also officiates in the kitchen of La Cigale Vista Beach, the beach of the palace in Roquebrune Cap Martin reinvented by the famous architect Jean-Michel Wilmotte. 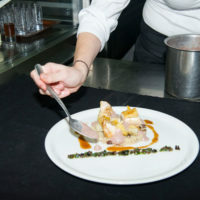 Lucie advocates the enhancement of the product with simplicity, and offers an inventive and delicate cuisine, with elegant and graphic presentation. 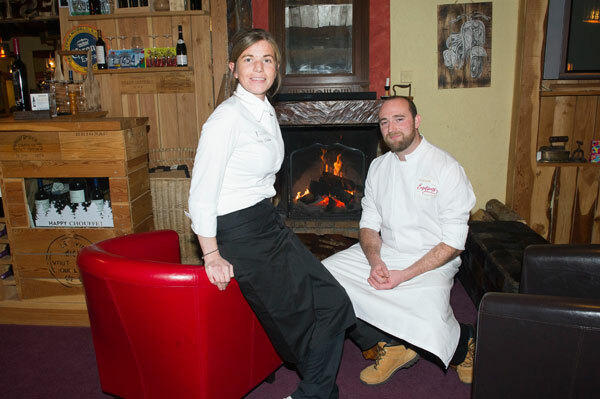 Determined to have the gourmets discover the terroir of the sea, Lucie Pichon is rewarded again in 2018 by two Toques at Gault & Millau Guide. 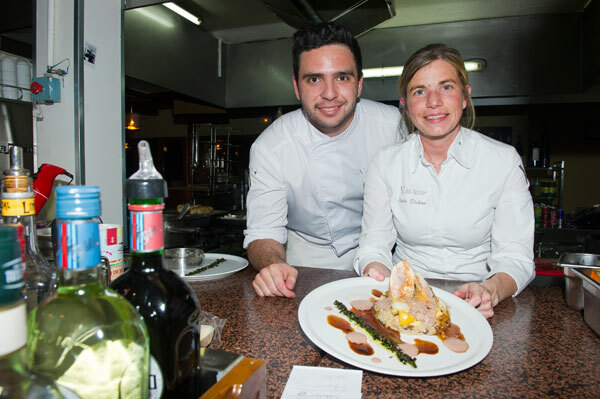 Yohan Gouverneur obtained a BTS in Hotel Catering and Culinary Arts at Lycée Hôtelier Paul Augier in Nice. 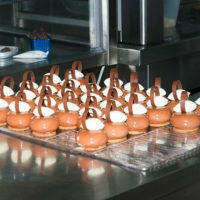 After a Pastry CAP complemented by a Complementary Mention Pastry at the Escoffier High School in Cagnes sur Mer, he completed his training with a BTM Pastry, Chocolate, Glacier, Confectioner at CFA Bausset in the Var. 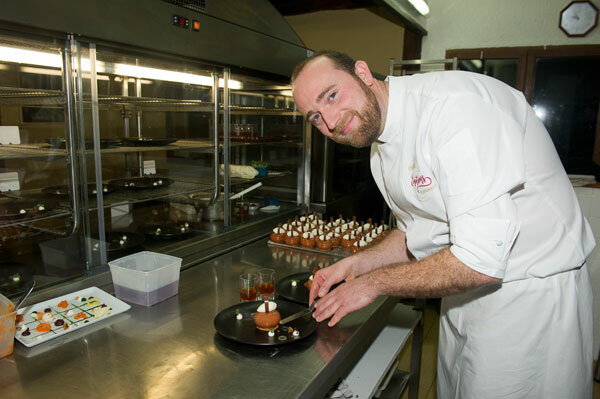 He then went to work as a production manager at Pavillon Hediard in Mouans-Sartoux, then as pastry sous-chef at Hotel Eden Roc in Antibes and at Fauchon Riviera in Villeneuve Loubet. 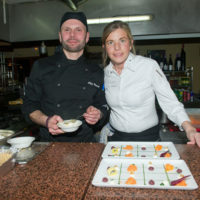 He then joined Chef Emmanuel Lehrer‘s kitchens at Le Mas de Pierre Relais & Châteaux in Saint Paul de Vence. 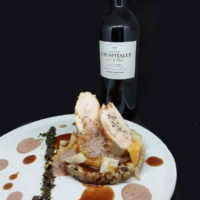 After this initiatory journey, he earned his credentials as executive chef and pastry chef at Premier Catering in Villeneuve Loubet, a company that delivers private jets. In 2017, Yohan Gouverneur creates his Pâtisserie Emotion company with a catering department that mainly delivers the palaces of the Côte d’Azur. 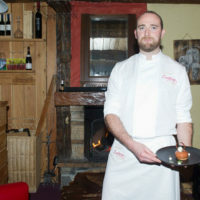 Following his success, this exceptional pastry chef should soon open his first pastry and tea room in Castagniers for the delight of lovers of delicacies. 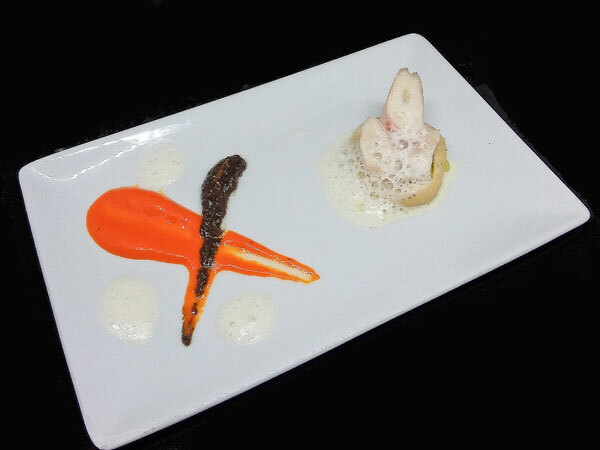 Lucie Pichon offers a gastronomy full of simplicity, lightness and freshness. Her passion for cooking, her generosity and her touch of femininity are reflected in her beautiful colorful and graphic plates. Her recipes reflect the strong personality of this Breton girl. 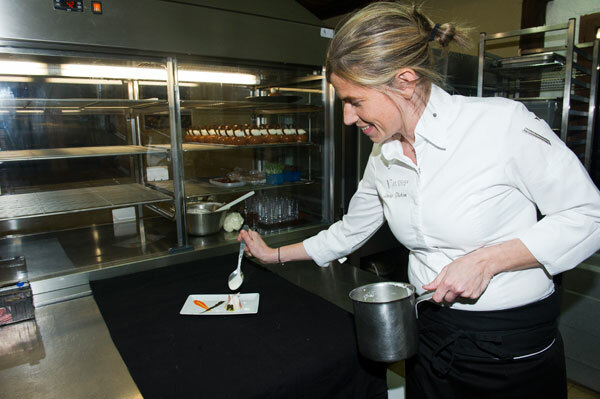 Her mastery of the culinary art, her exigency and her pugnacity are the guiding principles behind Lucie’s choice of her creations. Lucie Pichon also explodes in creativity when she draws with art and without false note a dish in the form of checkerboard, where the most simple and even sometimes forgotten vegetables, gather to form a unique and captivating composition. 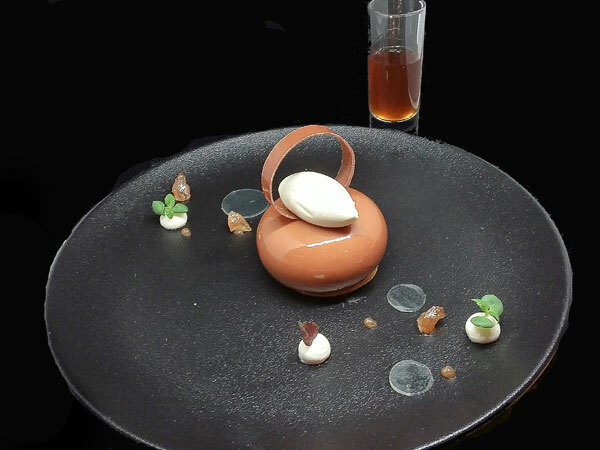 Yohan Gouverneur also composed a masterpiece of creativity and tastes, inspired by winter, in which the chestnut brings its touch of terroir to a yuzu from distant horizons to recharge our energies with fragrant vitamins. Appetizer: Lightly smoked Octopus and candied Olives on a Cream of Chickpea, Rosemary Espuma. This dish exalts the Mediterranean flavors in a delicate, elegant composition that smells good the sun of the Provençal terroir. 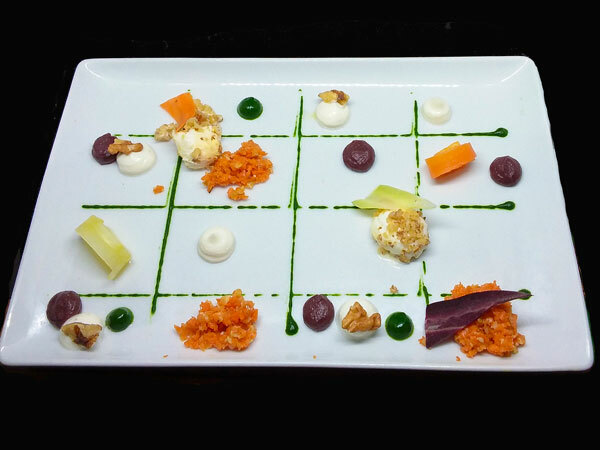 Starter: Multicolored Carrot Checkerboard, poached Quail Egg in Walnut Crust and creamy Goat Cheese. This basket of fresh vegetables vitamins breathes health and well being. We pick with pleasure the many pawns of this game of vitality. 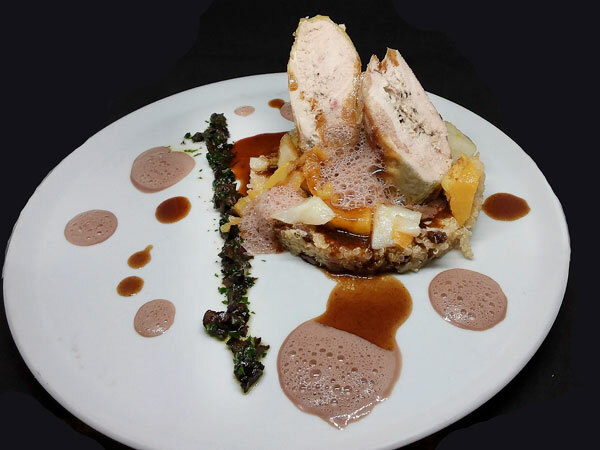 Plat: Supreme of Guinea Fowl stuffed with Olives and candied Lemon, Quinoa with Raisins and glazed forgotten Vegetables and Hot Wine Cappuccino. A light meat perfectly cooked, with nice seasonings, on a slab of fondant quinoa. 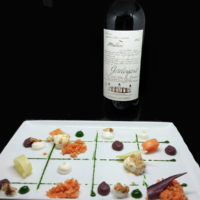 A very successful digest of the Provençal winter terroir enhanced by the fresh and sunny scent of olive and lemon. Dessert: The Chestnut in Mousse, Financier with Hazelnut and Yuzu Crémeux, Iced Tea with Citrus. A dessert in harmony with the lightness of the meal, unctuous and light, highlighting the yuzu and its very pleasant length on the palate. 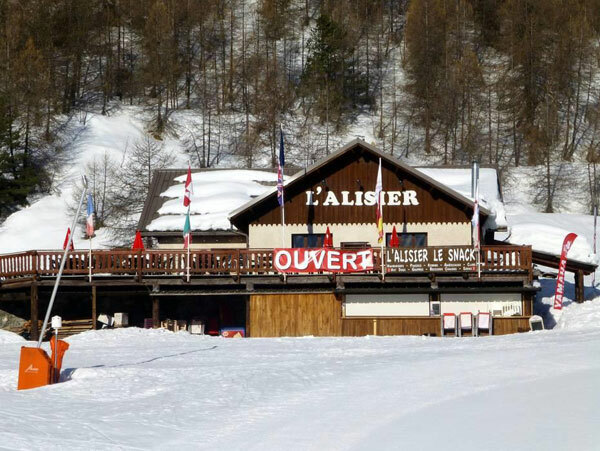 In the heart of the Mercantour mountains, at the foot of the slopes of the very popular Auron resort, L’Alisier opens onto a sunny panoramic terrace overlooking the snow-capped Alpine peaks. In this self and snack where it feels good to take a break between two rides, you can have lunch directly on the slopes, skis on the feet. The dining room is decorated in warm and woody tones, with wood highlighted everywhere around the fireplace. A huge trunk throne in the room, supporting a raised bar and bistro chairs to snack in a friendly and relaxed atmosphere. 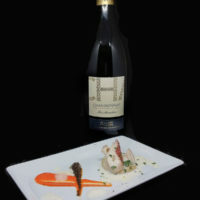 The fine family cuisine is traditional, based on seasonal products. The snack welcomes the Alisier MIX Party with at the decks the resident DJ Michel Spoon and his guests.